Sec. 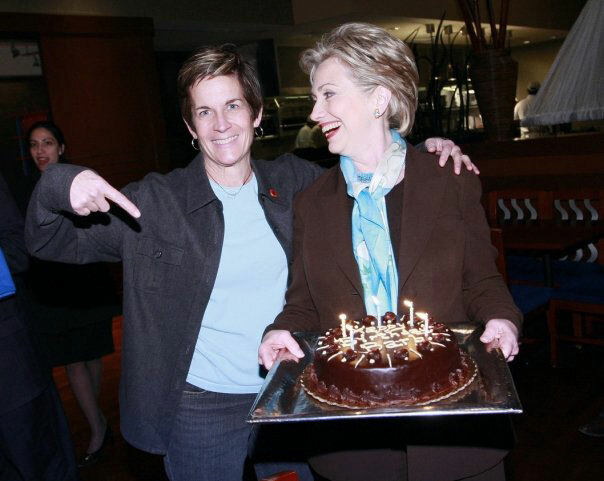 Clinton presents Barbara with a cake on her birthday. 2008. Barbara with Sec. 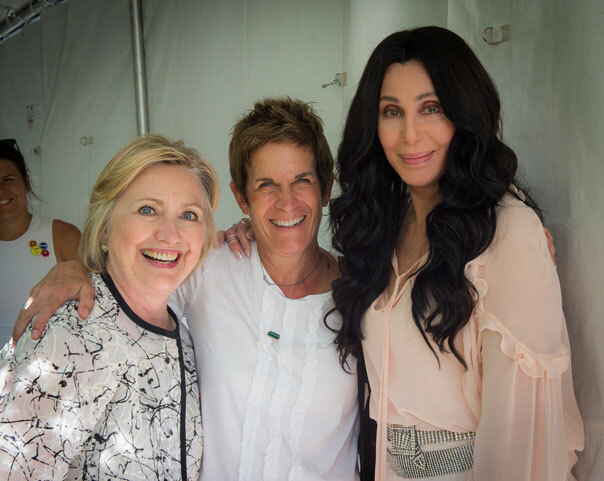 Clinton and Cher at a private event. 2016. Barbara Kinney is an award-winning photojournalist who has worked closely with the Clintons for more than 25 years. First as an official White House photographer during Bill Clinton's presidency and then as Sec. Clinton's official campaign photographer both in 2008 and during her historic presidential bid in 2016. In between stints in the White House or on the campaign trail, Barbara continued to work closely with the Clintons as a photographer for the Clinton Foundation as well as photographing Chelsea Clinton's wedding. Barbara's work has been prominently featured in countless publications including TIME, Newsweek, and People to name a few. Her clients include The Bill and Melinda Gates Foundation, The Nike Foundation, CARE, and the Eastern Congo Initiative. Earlier in her career, Barbara worked as a photo editor at USA Today, Reuters, The Seattle Times, and MSNBC.com. Presently, she is a senior photo editor and photographer with the Emerson Collective. Barbara lives in Marin County with her 13-year-old daughter and their two cats. 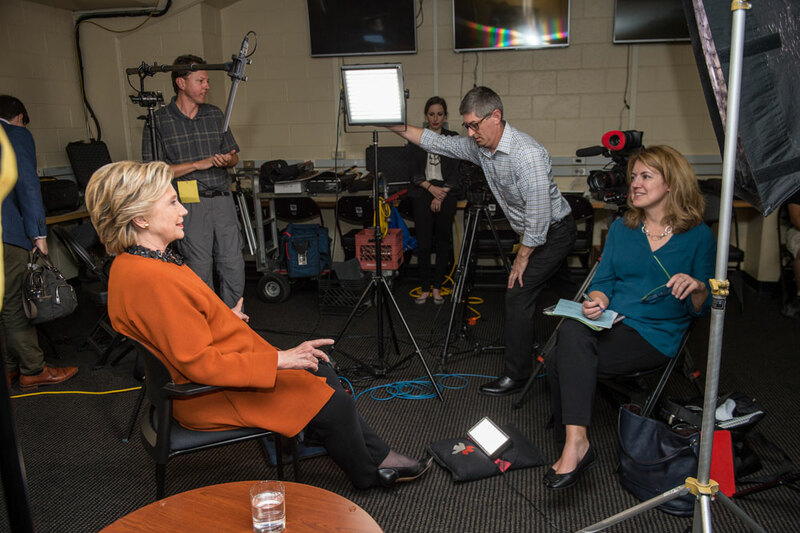 Sandra Sobieraj Westfall is an award-winning national journalist who, as a six-year White House correspondent for The Associated Press, began covering Hillary Rodham Clinton in January 1997 - and hasn't stopped yet. A former legislative assistant and speechwriter for her hometown congresswoman, New York's Louise Slaughter, Sandra left the AP for People Magazine in 2003. There, she interviewed then-Senator Clinton and then-Secretary Clinton and, finally, Presidential-Nominee Clinton more than a dozen times. Sandra is renowned in political and media circles for her off-stage portraits of headline-makers from Clinton to Michelle and Barack Obama, Laura and George W. Bush, the McCain family, Elizabeth Edwards and more. Sandra's high-stakes election night reporting - taking readers backstage for Al Gore's dramatic decision in 2000 to trigger a recount, and then into the Obama family's hotel suite as they watched America elect her first African-American president - made her a two-time winner of the White House Correspondents' Association Merriman-Smith Award for Excellence in Presidential Reporting under deadline pressure. A native of Rochester, New York, Sandra earned her bachelor's degree in politics and Latin American Studies from Princeton University, followed by a Master's in journalism from Stanford. She is married to a former Navy and Secret Service bomb tech, with whom she has a teen-aged son and two Shih-tzus named Scrabble and Dobby.